Three thousand years ago on a battlefield in ancient, a shepherd boy felled a mighty warrior with nothing more than a stone and a sling, and ever since then the names of David and Goliath have stood for battles between underdogs and giants. David's victory was improbable and miraculous. He have won. Or should he have? In, Malcolm Gladwell challenges how we think about obstacles and disadvantages, offering a new interpretation of what it means to be discriminated against, or cope with a disability, or lose a parent, or attend a mediocre school, or suffer from any number of other apparent setbacks. 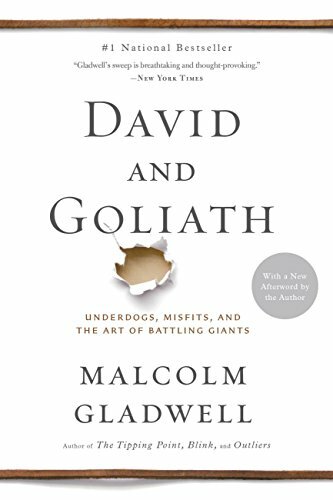 Gladwell begins with the story of what happened between the giant and the shepherd boy those many years ago. From there, examines Northern Ireland's Troubles, the minds of cancer researchers and civil rights leaders, murder and the high costs of revenge, and the dynamics of successful and unsuccessful classrooms---­all to demonstrate how much of what is beautiful and important in the . . .
2 Titles By Malcolm Gladwell: "Blink: The Power of Thinking Without Thinking" & "The Tipping: How Little Things Can Make a Big Difference.­"
Why did crime in New York drop so suddenly in the mid-­nineties? How does an unknown novelist end up a bestselling author? What makes TV shows like Sesame Street so good at teaching kids how to read? Why did Paul Revere succeed with his famous warning? 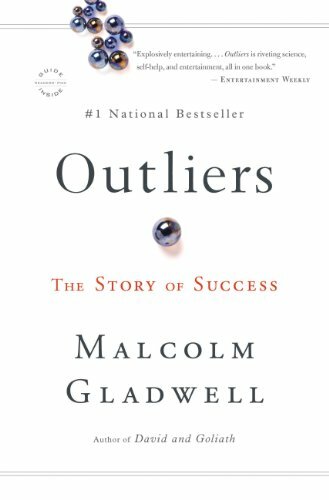 In this brilliant and groundbreaking audiobook, New Yorker writer Malcolm Gladwell looks at why major changes in our society so often happen suddenly and unexpectedly. Ideas, behavior, messages, and products, he argues, often spread like outbreaks of infectious disease. Just as a single sick person can start an epidemic of the flu, so too can a few fare-­beaters and graffiti artists fuel a subway crime wave, or a satisfied customer fill the empty tables of a new restaurant. These are social epidemics, and the moment when they take off, when they reach their critical mass, is the Tipping Point. 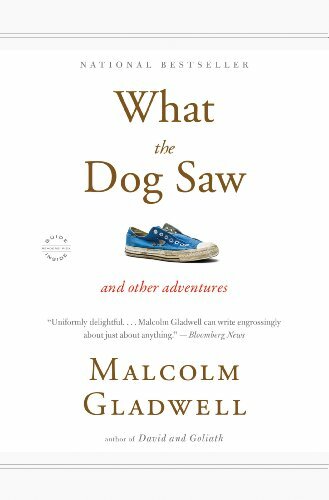 Gladwell introduces us to the particular personality types who are natural pollinators of new ideas and trends, the people who create the . . . In his landmark bestseller The Tipping Point, Malcolm Gladwell redefined how we understand the world around us. Now, in Blink, he revolutionizes the way we understand the world within. 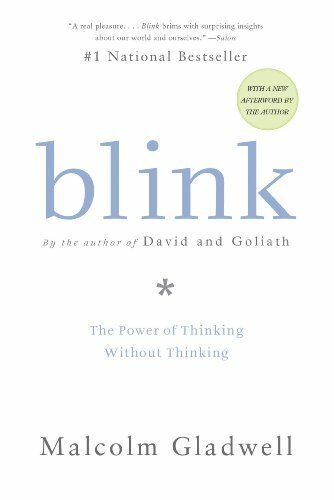 Blink is a book about how we think without thinking, about choices that seem to be made in an instant-­in the blink of an eye-­that actually aren't as simple as they seem. Why are some people brilliant decision makers, while others are consistently inept? Why do some people follow their instincts and win, while others end up stumbling into error? How do our brains really work-­in the office, in the classroom, in the kitchen, and in the bedroom? And why are the best decisions often those that are impossible to explain to others?­In Blink we meet the psychologist who has learned to predict whether a marriage will last, based on a few minutes of observing a couple; the tennis coach who knows when a player will double-­fault before the racket even makes contact with the ball; the antiquities experts who . . .